As a 23 year-old American farmer who studies the US food system from the field I have a unique perspective on the serious challenges it faces. 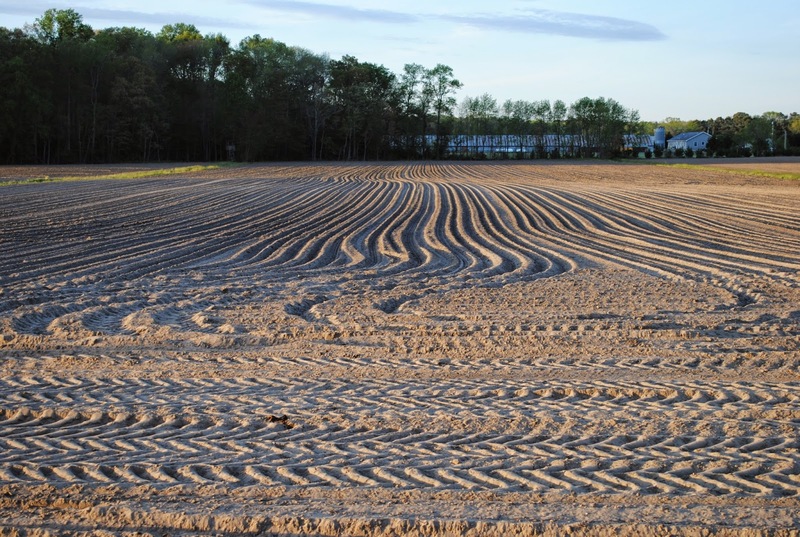 From drainage tiles that evacuate nutrient laden water to the nearest public water source, to obesity rates that cost untold lives, livelihoods, and money, the US food system is badly in need of regeneration. 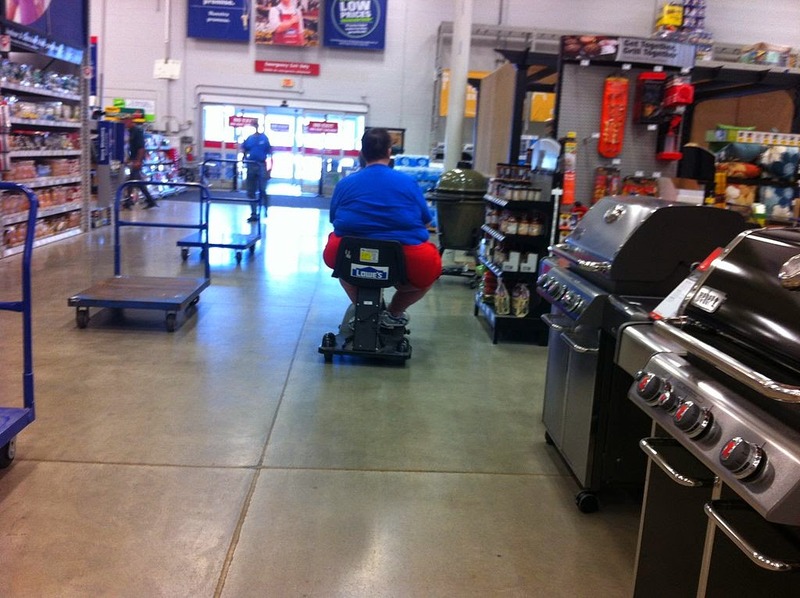 Food and health policy in the United States. In the United States food policy is a collection of local and national priorities that concern the supply of food. US food policy sets supports for certain crops that lead to a higher supply (and therefore lower price) of these crops in the market. Crops that are insured by the US government, against too much rain or too much drought, for example, such as corn, soy, and wheat, are more attractive to farmers than “non-insurable” crops, leading to greater production of insured crops. United States Health policy is a collection of state and national regulations meant to minimize occupational and recreational dangers and to improve health. Seat belts, MyPlate.gov, the newest iteration of the government recommended diet, FDA regulations, and food labeling mandates are examples of health policy. The intended purpose of many of these regulations, as they relate to food, is to educate consumers to make informed decisions about what they eat. 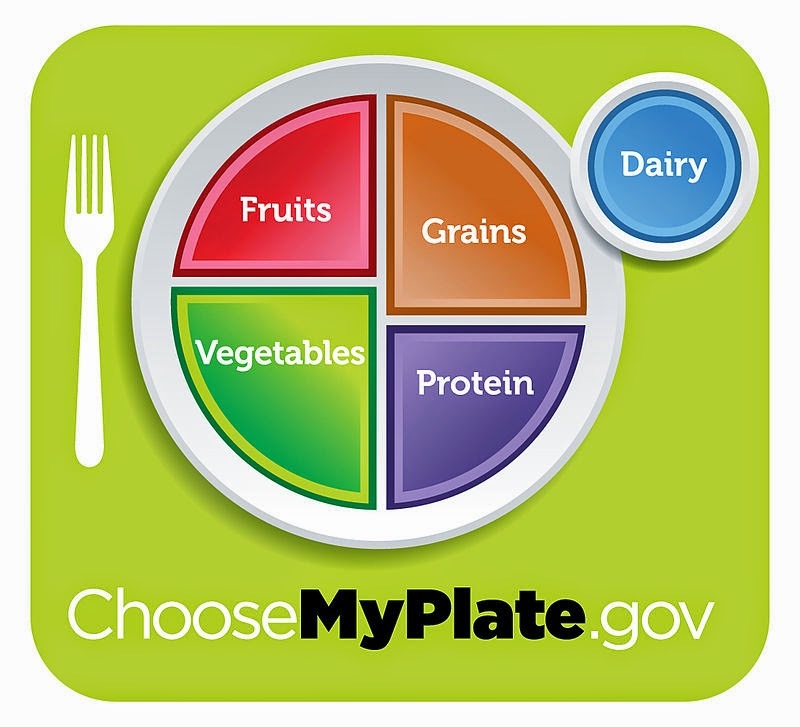 MyPlate identifies proper serving sizes for Americans (though it is not without criticism1). Food labels provide even, consistent criteria for comparing two different items (even if less than half2 of Americans read them). On one hand we have food policies, such as government crop insurance, that encourage environmentally damaging fence row to fence row crop production, or government support for drain tile, drainage systems for fields that shuttle nutrient rich runoff to the nearest water body to be rushed downstream. On the other hand are well-meaning health policies. One can imagine that in the minds of the crafters of health policy each consumer carefully reads the food label on each product, compares the serving size of their meals against the MyPlate recommendations, and eats just the right amount of calories for their BMI each day. Real life food decisions are more complex and price is a big factor in purchasing. Price is where food policy gets involved. Government support makes certain crops cheap. These cheap crops can be used to create cheap food products (corn into chips and soda, for example). But chips and soda are shunned by health policy, and do not have healthy nutrition labels or a formal home on MyPlate. Due to this disconnect between food policy and health policy the US food system is malfunctioning. A food system that creates historic rates of obesity3 while continuously exploiting the resources humans require for life, soil4 and water5, requires change. However, since the left hand doesn’t know what the right hand is doing, any efforts made, positive or negative, will be hindered by inefficiencies and ineffectiveness. There is no one elegant solution to reducing the negative effects of such disconnected policies. Anyone claiming to have a trump card is lying: GMOs will not solve all of our problems, neither will organic production nor sin taxes on fizzy drinks and new government serving size suggestions. When dealing with interconnected systems solutions require a full deck of answers. US consumers shop with their wallets while health policy targets their minds. Health policy that acts on this fact will be moving in the right direction. The question for the discerning health policy strategist then is how to make healthy food price competitive? One argument that I find persuasive as a low-paid, full-time change maker is the prudence of home cooking. Too often on the run I need food that is grab and go. Frozen burritos at the store cost me $2.00 each, I can make similar quality, though I must say, far tastier, burritos at home for just $.75. One inventive way that communities across the United States are improving the cost competitiveness of healthy food is by offering “bonus bucks” to Electronic Benefits Transfer (EBT), government food support, purchases. Spend $20 of EBT at a participating farmers market and get $5 additional “market bucks” good for any fresh produce at the market. More healthy food in the market will make healthy food cheaper and more accessible. A benefit of coordinated food and health policy is an increase in the overall supply of healthy food. For starters, imagine if US food policy aligned what farmers were incentivized to grow with what health policy encourages Americans to consume. The landscapes of rural America, and the tables of all Americans, could change drastically. This map7, by Emily Cassidy at the University of Minnesota’s Institute on the Environment, shows the caloric efficiency of crop production across the world. Caloric efficiency is the ratio of calories produced on a landscape to the number of produced calories consumed directly by humans. Developed countries producing commodities show horrendous caloric efficiency. Globally just 41% of calories produced are consumed by humans. According to Cassidy, maximizing caloric efficiency could feed an additional 4 billion people. In the US, food policy structures that support big commodity production could be amended to support crops, meat, and production methods of higher caloric efficiency including growing more crops for direct human consumption and more caloric efficient animal proteins such as chicken and fish. Private actors have their own part to play in addressing this disconnect. Non-governmental actors can work to aggregate and add scale to local food systems: decreasing prices of the freshest produce by harvesting efficiencies of scale. 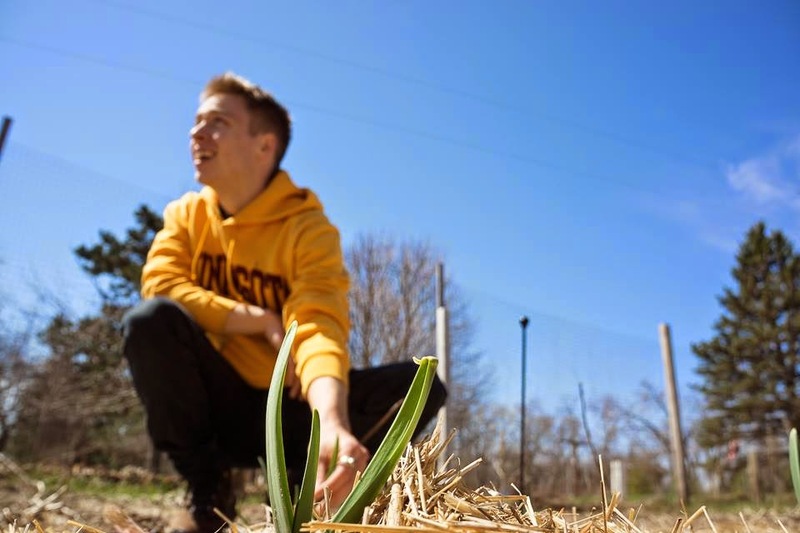 Two up and coming projects, Urban Oasis in St.Paul, Minnesota and New Moran in Burlington, Vermont, are examples of private sector innovation. By serving as aggregation, processing, and distribution hubs for local farmers these projects can increase the scale of healthy local food systems. Solutions also exist in state and local governments that can induce dialogue between government food and health policy makers. At the state level food policy councils are popping up across the nation. These food policy councils are often created with the express purpose of increasing dialogue between state departments of agriculture, natural resources, and health. The Iowa Food Systems Council is one of the most longstanding and studied State food councils. City level food councils are also developing. Similar to the state level councils these organizations are made up of a diverse group of stakeholders from across the food system including farmers, nutritionists, academics, and entrepreneurs. In Minneapolis, Minnesota “Minneapolis Homegrown” is a food policy council made up of appointed community members who serve an advisory role to the elected city council on food and health policies. Food and health policies in which the left hand doesn’t know what the right is doing are only effective at continuing the failing status quo. At their best, food policy attempts to tackle resource issues in food production while health policy encourages healthy grocery store purchases. Discontinuity contributes to the symptomatic nature of present day solutions and thinking. A focus on symptomatic solutions leaves the underlying disease untouched. In order to cure the cause the US needs a new coordination between food and health policy. Thankfully, there are many luminaries across public, private, and government sectors who understand the underlying problem and are generating bold ideas to address it. The brain is a remarkable thing. Part of what's so remarkable about it is how it responds to and molds itself around experience. Alfred Wallace exempted humans from the march of evolution because we are able to do so many things that can't be attributed to natural selection: calculus, the invention of televisions and robots, smell tar and Twinkies, none of which are abilities that we specifically can thank natural selection for since they are all recent. We can do them because of our brain's adaptability, its ability to make sense of input it clearly isn't hardwired to understand. I remember lying in bed when I was a child, before I was even in kindergarten, closing one eye and then the other and noticing that I could clearly see the books on the bookshelf across the room with one eye but the same books were a blurry mass with the other. This was just a fact of life, of idle interest to my 4-year old self but nothing more, and I don't think I ever thought to mention it to anyone. I was fine; I could read up close, I could see in the distance, just not with both eyes at once, so it didn't occur to me that anything was weird or wrong about that. A routine eye exam at school found me out and I finally got glasses to correct this thing that wasn't really a problem. As I've gotten older, my vision has gotten worse, each eye in its own way. My eyes are equidistant from 20:20 in opposite directions, one myopic, the other hyperopic; I can still see without glasses, though not perfectly. And still, without my glasses, it's one eye working at a time. But think about what that means. Without my glasses, light is pouring into both eyes, hitting my retina at essentially the focally right place in one eye, but all wrong in the other. 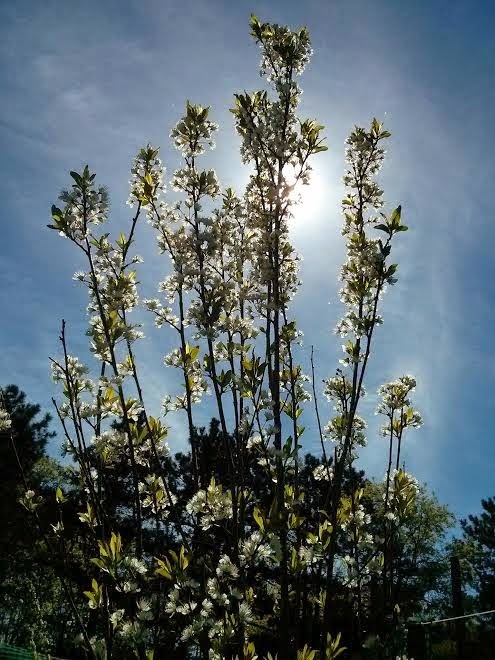 The curious thing, to me, is that my brain long ago learned not to pay attention to the blurry input, to only interpret the light waves hitting my retina in the 'right' place. How did it know which was right? And at some point, in managing input anywhere along the continuum from my eyes to the furthest point I can see, my brain switches from paying attention to my right eye to paying attention to my left. All the light waves are getting passed along in the same way to both eyes and on to my visual cortex -- I know this because if I close the 'good' eye, of course I'm seeing something, it's just blurry -- but at the very final step in the vision pathway, when my visual cortex is coordinating all the input into a single image, my brain dumps the blurry images and retains the clear. But it's even more impressive, I think -- with my glasses on, my brain allows input from both eyes to make its way to the final image. It's switching from monocular to binocular vision all the time. Again, how does it know to do that? 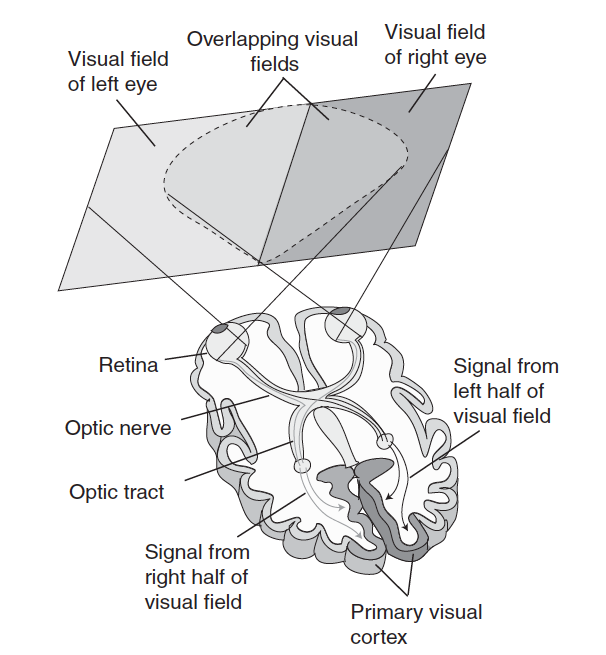 The plasticity of the brain isn't confined to the vision pathway, of course. Plasticity defines the brain -- it's why we can meet new people, learn things, have new experiences, create memories, and then make sense of it all as we go. Not only are we constantly making new synapses between neurons, we are still making new neurons well into old age, which is what makes our brains able to successfully make sense of all the information with which we're bombarded all the time. Adaptability, or facultativeness, is so fundamental to evolutionary success that we think of it as a basic principle of life (see chapter 3, The Mermaid's Tale). And yes, there's a larger point here. The idea that some of us evolved 'for' sprinting, ping-pong, money-lending, economic prowess, or the ability to do well in 20th century school systems is based on, we think, a superficial understanding of evolution, and the way the brain works. But it's an appealing one, one that too many scientists and journalists still believe. Environmental risk factors - can we ever know when we're done? Complexity, confounding, heterogeneity: these are just a few of the issues that can and do play havoc with biomedical research where we attempt to infer causation from observational data. A paper just published in Cancer Research ("Circadian and Melatonin Disruption by Exposure to Light at Night Drives Intrinsic Resistance to Tamoxifen Therapy in Breast Cancer," Dauchy et al.) is a good example of some of the issues. Reported all over the web, including here by the BBC, the study suggests that low levels of light might inhibit the effectiveness of breast cancer drugs. Many breast tumor cells have receptors for estrogen on their cell membranes; the hormone binds to the receptors and activates cell growth and proliferation, the signal characteristics of cancer cells. To inhibit that growth, many women with estrogen-positive breast cancers are treated with an estrogen agonist or antiestrogen such as tamoxifen, the metabolites of which bind to the receptor and slow or halt further growth of the tumor. However, 30 - 50% of tumors become resistant to tamoxifen over time. Resistance to endocrine therapy is a major impediment to successful treatment of breast cancer. Preclinical and clinical evidence links resistance to antiestrogen drugs in breast cancer cells with the overexpression and/or activation of various pro-oncogenic tyrosine kinases. Disruption of circadian rhythms by night shift work or disturbed sleep-wake cycles may lead to an increased risk of breast cancer and other diseases. Moreover, light exposure at night (LEN) suppresses the nocturnal production of melatonin that inhibits breast cancer growth. Many previous studies have shown a relationship between sleep disturbance and cancer risk, and more specifically, between melatonin and cancer risk, so Dauchy et al. focused their research on the role of melatonin as a mediator between tamoxifen and cancer cell growth. Human breast tumor xenografts (cross species tissue transplants) were implanted into rats and the animals then spent 12 hours in light and 12 hours in dim light or in total darkness every day, and the progression of the tumors followed. The animals exposed to dim light had lower melatonin levels, and their tumors were larger than the rats in total darkness. Once the tumor reached a specific size, the animals were treated with tamoxifen, and progression or regression of the tumor was then documented. Further, supplementing the mice in dim light with melatonin lead to smaller tumors and lower tamoxifen-resistance. The equivalent of the dim light the rats were exposed to would be, according to the authors, the light entering a room under a door. They suggest that exposure to light from electronic devices before sleep may also lower melatonin levels. Senior author Steven Hill was quoted in The Telegraph as saying that because resistance to tamoxifen is an increasing problem, this study could be significant. “Our data, although they were generated in rats, have potential implications for the large number of patients with breast cancer who are being treated with tamoxifen, because they suggest that night-time exposure to light, even dim light, could cause their tumours to become resistant to the drug by suppressing melatonin production. How melatonin encourages tamoxifen to inhibit breast cancer growth is not understood, although melatonin may play multiple roles in inhibiting cancer cell growth. The result, if it is replicable, is important however, and because this is not just an association study but an experiment based on a prior hypothesis it is at least that much more persuasive. But we know from legions of work on inbred mice that mimicking a human effect in one strain doesn't seal the deal, because the results widely differ among strains when investigators are conscientious enough to test multiple strains -- and sometimes some strains show essentially no effect. Presumably this is for genetic reasons, which could mean that the current rat-based study may apply to some, but not to all women. That would not make it a bad study nor a dismissible result, but it would temper that result. The rats in this study were exposed to complete darkness or dim light consistently, 12 hours every day, so it's impossible to know whether variation in light exposure by phase of the moon, say, or other kinds of varying light sources would make a significant difference in the amount of melatonin a woman makes, nor in how much melatonin is required for tamoxifen to maintain its effectiveness. Often, one doesn't know when study results are important or convincing enough to warrant complex changes in drugs, treatment, or behavior. In this case, it seems rather benign to ask women in treatment to avoid light at bedtime. But even here, should they be compulsive about it? Shut the curtains in a full-moon? Nothing to light their way to the bathroom? And, the authors caution that women shouldn't begin taking melatonin as a result of this study. But this work is interesting in its own right, and clearly worth paying attention to. It also is a reminder of why it's so hard to study environmental risk factors for disease. As far as we know, when the benefits of tamoxifen were first shown, there was no a priori reason to suspect that it would lose its effectiveness, at least in part, because of exposure to light at night, or interruption in melatonin cycles. This is a sobering but important reminder that there is always the potential for unidentified and unexpected interactions between unknown and unexpected risk factors (confounders). We now know at least that there seems to be an interaction between melatonin and tamoxifen in rats, at least in regard to implanted human tumor cells, but we don't know how much of the tamoxifen resistance in human breast cancers this particular interaction might explain (if any, since these were rats, not humans). But complexity is a hallmark of diseases like cancers, and there's not going to be a single, simple explanation. Science recognizes Charles Darwin's contributions to knowledge because he was a deep thinker who largely transformed a whole area of human knowledge in ways that seem likely to be permanent. One often refers to such inspirational figures by coining terms to acknowledge their views. 'Darwinism' is one. To name a concept after him is entirely deserved (even his co-recognizer of the salient facts of life as an evolving history, Alfred Wallace, in 1889 referred to the idea with the very title of a book summarizing the field: Darwinism: An Exposition of the Theory of Natural Selection, with Some of Its Applications). By greatly honoring his name, science and history recognize his contributions. But his work is not to be read exegetically as a source of The Word. He's respected, but not sanctified. No scientist we know of checks what Darwin said as a means of testing whether something is true or not. This is science; exegesis is for historians. Charles Darwin would not want a halo! Darwin would want it that way ("And get that halo off me, please!"). He was a brilliant, doggedly thorough and persistent gentleman scholar. His works are a wonder to read, because he was a keen and incredibly patient observer and a master synthesizer of reams of data from various fields. But he was human and lived in the times in which he lived and with the knowledge and technologies then available. Even he, the developer of the selectionist 'law' of nature, mainly offered hand-waving assertion and circumstantial evidence, but definitely did not in the Origin of Species by Means of Natural Selection show that the origin of species was by means of natural selection. If you doubt this, read the Origin yourself, especially Chapter IV. But that's a topic for another day. 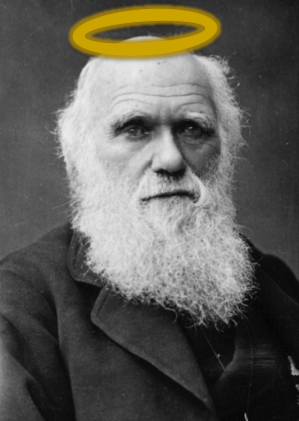 Nonetheless, we think that Darwin's view of natural selection as a universal determinative law to account for the evolution of the traits of organisms has become widely and without deep thought adopted as a given rather than a matter of science to be examined in the real world. This is in many ways taken almost directly from Darwin's personal view, though most who use the term have done little if any actual reading of Darwin's voluminous works. Such a worldview becomes dogma, or the assumption of a belief system, an ideology, rather than science, as we have tried to show in this series. That is the sense in which we discuss its mythology--the tales told and assumptions made about it that don't reflect what we actually know, and don't know. The public and professional literature are awash in 'gene for' or 'evolved for' assertions that go largely unquestioned (thoughtful, pointed reviews of this season's recent pulp eugenics book excepted). Such stories about genomic causation or reconstructions of evolutionary history are often expressed as if they explain traits in question, but by equating plausibility with truth in fact verge on tautology, and serve preconceptions rather than testing how the living world actually works. The pervasive explanatory 'ether' that is invoked, is natural selection. Most biologists probably don't quite realize how close they come to explanations that would be the same if God's will were used instead. That universal acid or Darwin's 'dangerous idea', as one philosopher referred to it, is indeed dangerous both to human society and to science. In this series, we have discussed various ways in which purely historical processes of proliferation and divergence from common ancestry can potentially account for aspects of the origin of complex traits within organisms, and by extension among organisms, that are not due, or not just due, to natural selection. Our objective has not been to denigrate the idea of natural selection, but to show that there are other entirely natural processes that can lead to the evolution of complex traits. Evolution and genomics are not just one-trick ponies. As we have noted, how and when (or even whether) these processes are at work is a matter that can be studied by clever designs or choice of material--they are testable ideas. In fact one of them suggests that natural evolutionary historical processes could generate complex traits without any involvement of force-like natural selection at all. However, if one clings to a selectionist ideology, selection as an axiom rather than a scientific assertion, then of course one will never even ask the questions as to whether such ideas might be correct, much less test them. We can, however, ask a far more fundamental question, which is how selection works when it does occur. For this, and as elsewhere in this series, we suspend skepticism for the moment and take universal, Newtonian force-like natural selection as a given. To try to make our point, an analogy to astrophysics might be instructive. In cosmology--the real thing--travel in the universe is governed by relativistic spacetime. An object at any time moves in a way that is determined by its motion at the time and the gravitation field--one might say the gravitational 'ecology' due to the physical objects in the area. The bigger or closer another object, the more spacetime is curved. 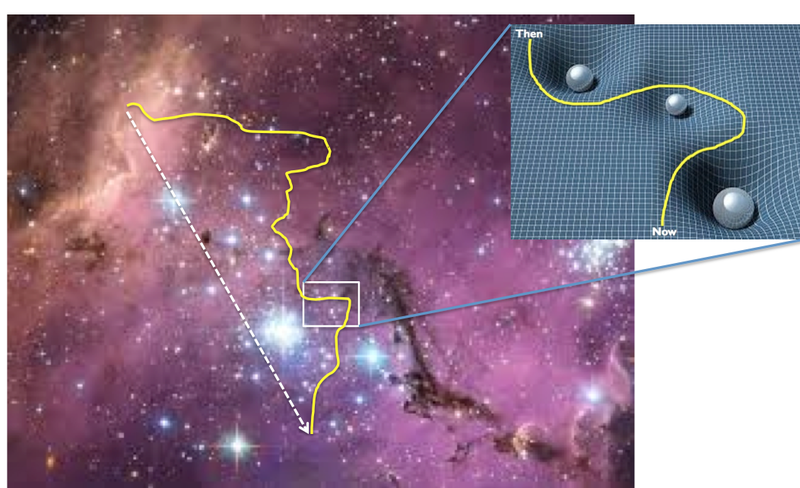 But the net curvature is the total of these effects in this location in spacetime. We use the term because on the cosmic scale, space and time are inseparably part of the nature of existence. We can say that the past has existed and, from our vantage point, we can get a glimpse of it from the distribution of matter and energy at the present time. In real cosmology, we can also 'see' the future to the extent that we can know and (in principle, at least) predict the state and location of the objects towards which our object is moving. Any object in motion essentially integrates all of the forces acting upon it, and moves through spacetime accordingly. Unless driven by some separate impulsive force, the path it follows is determined by these local spacetime properties, and is known as a geodesic, which one can think of as the shortest path between points spacetime. If the object of our interest is affected by several small local objects in the area, it meanders geodesically past them. If or when there is a large nearby object, it follows a more greatly affected curvature around it (blue inset). At the end of a period of interest (which we call now), and if we knew the location of the point at our chosen starting time (then), and we're oblivious to what happened between then and now, we can always assert that what happened was that the object of our desire was shot by a specific force directly along that path (shown as dotted arrow). But that assertion is a fiction, and science is supposed to be about fact. That fact is that our object got to now through a path that essentially had nothing to do with now--it was not aiming toward now, its movement at any time was locally determined, sometimes by major (one might say clear-cut) factors, often by a host of minor even seemingly trivially small ones, collectively setting up the position at the next major influence. Note that in our cosmic analogy all of our object's meanderings are considered to be totally determined by the shape of gravitational spacetime--we assumed that no probabilities were involved. This should be enough about spacetime geodesics in astrophysics. The point of the analogy should hopefully be clear. Even if the implicit complete determinism of Darwinian assumptions were true, the complex dynamic nature of earthly ecologies means that an evolutionary geodesic need not follow a retrospectively reconstructable path from then to now. A species or trait need not have evolved 'for' its current use, not even in stages aimed in a particular direction, not with its various components evolving synchronously or even sympatrically. Indeed, if and where ecologies are complex and dynamic, the meanderings of our object--a trait or species--may be essentially indistinguishable from random movement relative to any long-term 'purpose'. An organism is a collection of traits, often correlated by shared genomic mechanisms, that are continually being pulled every which-way by selection of various intensities for various reasons (the nearby gravitational objects). These pulls are based on the local context, and that context (the 'stars' etc. in the area) change over time and space--over evolutionary 'spacetime'. The position in the future may not be predictable from its local conditions at any given time: evolution has no 'momentum' by which the past actively propels species through the present--or if it does, we need a much-revised theory of its causal dynamics. These factors and their importance for 'fitness' need only be synchronized if they share genomic pathways, and otherwise need not be synchronous in time or space, and the 'same' trait can serve multiple or even changing functions. As one zooms one's lens closer and closer, the picture dissolves into every more graininess. No two individuals have the identical trait or genotype. We don't see 'spandrels' or other states that set the stage for the trait as we see it today. We don't see a ladder of discrete improvements towards today. No punctuated equilibrium, saltations, and the like except as we choose to impose them on our observations. To the extent the picture given here is apt, each local point in evolutionary spacetime is so local, so dependent on its context at that instant in time, that it need not suggest the kind of longterm arrow from then to now that is so commonly explicit or explicit in our texts, papers, and so much of the rhetoric even in professional biology. Realizing in this way how things are--or at least might be--under deterministic assumptions, it is now time to re-introduce the other complications discussed in this series, including chance in its many manifestations, at the scales of change that are relevant. The 'geodesic' path of evolution meanders in no one direction, by no one cause. Even if it is 'driven' by selection at every instant, it is a path whose determinants are problematic to identify in practice. Whatever is the truth, selection is not obviously simple in a force-like way. And here's something to think about: Scientists often say that the simplest--the most 'parsimonious' explanation is the preferred one most likely to be true. In the case of our cosmological analogy, I think it's right to say that the straight-arrow path from then to now is not the simplest explanation of the change! In fact, it may be among the least simple explanations. That's because the geodesic path is actually the simplest: it only involves the explanation that the path follows spacetime curvature (e.g., gravity). In that sense, that is the 'straight' path. Given the complexity of space, you'd need a host of ad hoc reasons to try to account for the usual notion of a 'straight' path (like our dashed arrow). The same can be said of evolution. The straightest path is that which follows the dynamic local 'pulls' of selection; to avoid following that path, as if somehow 'insisting' on a direct rather than geodesic path from then to now, it would have to resist the myriad local conditions to keep on that path--and that then becomes teleological! Is that a suitable 'simpler' explanation? 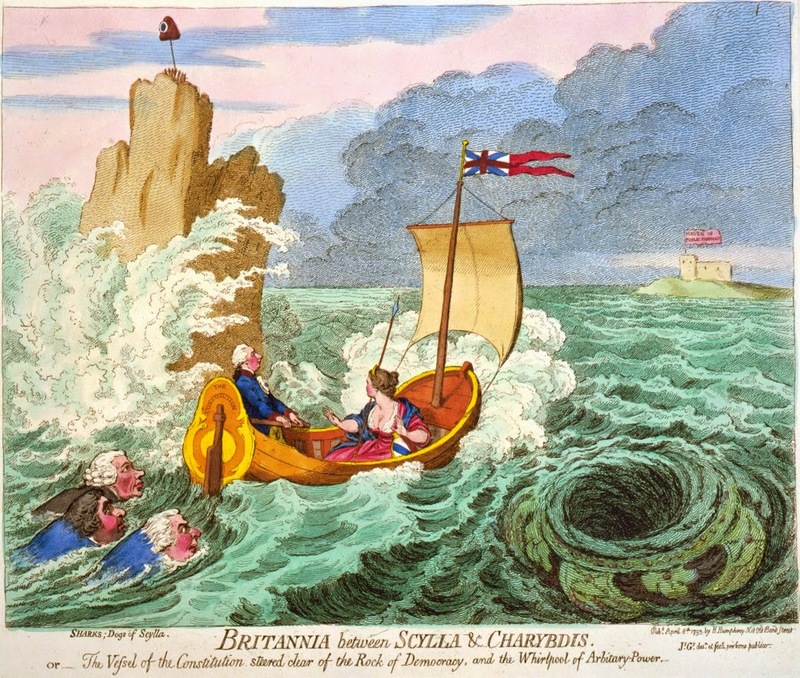 As we navigate our search for truth, if we are not careful in our thinking we, like Odysseus, face the twin threats of Scylla and Charybdis: the mesmerizing sirens of examples of strong recent or artificial selection that can lead us onto rocks of extrapolation to events on a slow, long time-scale, and there is a danger of being sucked into a whirlpool of complacency by taking criteria like DNA sequence conservation too casually. Darwin's realization that life today is the legacy of processes of descent with modification and differential proliferation, was profound and correct as far as anything we know. (Somewhat separate from, but related to the effectiveness of selection, is that branching from common ancestry into distinct entities such as species that are isolated from each other was also part of the theory in Darwin's view, as it is of ours today.) But none of this implies there is only one manner of differential proliferation nor that we cannot find and flesh out the basic concepts--even if there are no fundamentally different phenomena yet to be discovered. For example, with organismal selection, genetic variation and its effects can be sorted out by the organisms in their various local areas, with no competitive differential reproduction required, and in that sense no nasty competition to the death, necessary. There has been nothing spooky in our use of the analogy of an imaginary odyssey through evolutionary 'spacetime'. We are not invoking heresies, that Darwin himself would not recognize. Indeed, what we have said may be imperfectly stated but is perfectly consistent with the long-standing insistence that evolution is locally contingent and not teleological. But that in fact is inconsistent with the ubiquitous simplistic 'evolved for' and 'gene for' tales in the public as well as professional literature. Just to be clear, with all of its nuances, including chance effects, evolution can be accounted for by historical, material processes; there is nothing that we know that requires any external force (as in religious arguments) to guide evolution. Just because a story is plausible does not make it either probable nor true. Think of it this way: The dashed arrow in our geodesic figure is the direct then-to-now path. We can note that by comparing a fossil to its descendants we can always construct the usual simple, direct here's-how adaptation story. But not only is plausibility not the same as truth, but considering what we've tried to say in this series, perhaps such stories are least likely to be the truth! Perhaps it's very naive to think, much less to assert, that such simplicity is what we should expect in our evolutionary tales. Indeed, Darwin himself tacitly was led by temptation to make some similar assumptions, basically if implicitly and unintentionally teleological ones, in his books describing barnacle evolution. What is important to us is the difference between a nuanced view, and the way people act and speak in practice (despite perhaps their being clever enough to include briefly-stated caveats). One can always defend business-as-usual, the direct then-to-now Just-So story, by asserting that, "Yes, yes, all the details you mention are true, but they don't really matter in my example." But one should ask whether that's sincere rather than a dismissive acknowledgement-in-passing, a lazy excuse for clinging to a comfortable ideology--especially, but not only, when it comes to explaining human variation. If so, the invocation of 'natural selection' is an exercise in mythology, in ideology. On the mythology of natural selection. Part IX: What would it mean if selection really were deterministic? Today's post will have to do with the question, "What is cause?". This will be a bit abstract, but I hope it will be at least somewhat understandable. We have been writing about the subject of genetic determinism and its twin, deterministic natural selection. Pure determinism means that when I know an organism's genotype I can perfectly predict its traits and that given different organisms' genotypes I can perfectly predict their relative fitness (reproductive success). It's one thing to consider skylarks and oak trees in this regard, because nobody really cares; but now we know that humans are part of Nature rather than separate creations, we naturally want to apply the same principles to ourselves as we do to plants and other animals. And though issues about determinism apply to all of Nature and its evolution, it's the way they hit home that makes it important for the human sciences, above all, to realize the implications of how we view ourselves in light of our ideas about evolution. Some people object to suggestions that natural selection might not be genetically deterministic--that there might be other aspects to the organisms' traits, such as environment which in the case of humans includes their culture. An unstated or perhaps even not even fully aware objection to any challenge to genetic determinism is that if you open the door, even a tiny crack, to the uncertainties of probabilism or environmental, or in the case of humans to cultural effects, you'll venture off into 'softer' non-scientific views of Nature. That point of view suggests that we can peer into genomes to see individuals' or groups' inherent worth, as one can fancy that Nature in the form of selection sees and has seen it. To use humans further to illustrate the point, the fact that we wear coats in winter and domesticate our food sources would seem to be manifestly obvious examples of niche construction. 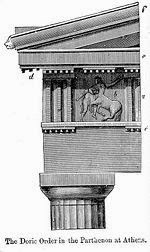 To push this further, can any sane scientist argue that, say, Doric architectural columns were built because of specific genotypic differences between their architects and the architects who built Ionic columns? If not, and if it's not cultural (environmental), what is the 'cause' of the style differences? An honest assessment raises the question how far can assertions of genetic determinism go, and if the door is opened to cultural/environmental causation, where do you stop, if you can't read individuals' traits off their genomes? But let's think a bit deeper than this superficial bit of sociocultural generalizing. In this series on natural selection we've often accepted, temporarily for the sake of argument, a proposition that genetic causation, and hence selection really are perfectly deterministic. That means selection reads two organisms' genotypes, say, and determines everything about them, including who will win the evolutionary race, in the same law-like way that gravity pulls objects towards each other as a deterministic force. Let's again take this as true for the purposes of argument, and see its consequences. First, such determinism if true would mean that everything--everything--about every organism is perfectly predictable. And if what happens is perfectly determined and predictable, then we can follow what's here today, using the force-like laws that make it predictable, back as well as forward in time, so that in fact everything--everything--is just following those laws and hence was already predictably inevitable from the instant of the Big Bang. Of course, to actually predict everything you'd have to have all the information, perfectly understood, which in turn requires that you be above or out of the system whose properties you want to know: in a sense you need to know more than everything there is to know. Arguing that position is logically no different from just saying "God willed it to be that way." It's not science, and it doesn't explain anything. Even total genotypic predictability, however, should give no solace to genetic and darwinian determinism. That's because if everything were pre-determined, then there is no 'natural selection': there's no random mutation screened competitively by the environment, because winners and losers and their genotypes were always already in the works waiting to happen. In that case, 'evolution' really holds only its original sense of the world: an 'unrolling' of what's already there. Even before its conception, the future rabbit was doomed to be caught by this particular future fox, in the same sense that we would not say the apple 'evolved' onto Newton's head, but that it just followed the law of gravity. If so, everything including the misleading (under our working assumption of determinism) evidence of chance (genetic drift, mutation) is simply predetermined! Unfortunately, perfect determinism cannot be tested or proved, so we're not any further along in our understanding. The point of science is to understand causation and that is essentially the same as making predictions of the future from observations in the present. However, even if perfect determinism were the case, things are not predictable in the usual informal sense of deterministic world-views: since we can't have perfect information, only the artifacts of measurement and sampling make a perfectly deterministic world seem non-determined. We have to make assumptions about when, where, how, and how much our measurements were off--about the distribution and probabilities of what would only appear to be chance. And those probabilities are themselves determined in some way, if you think about it. 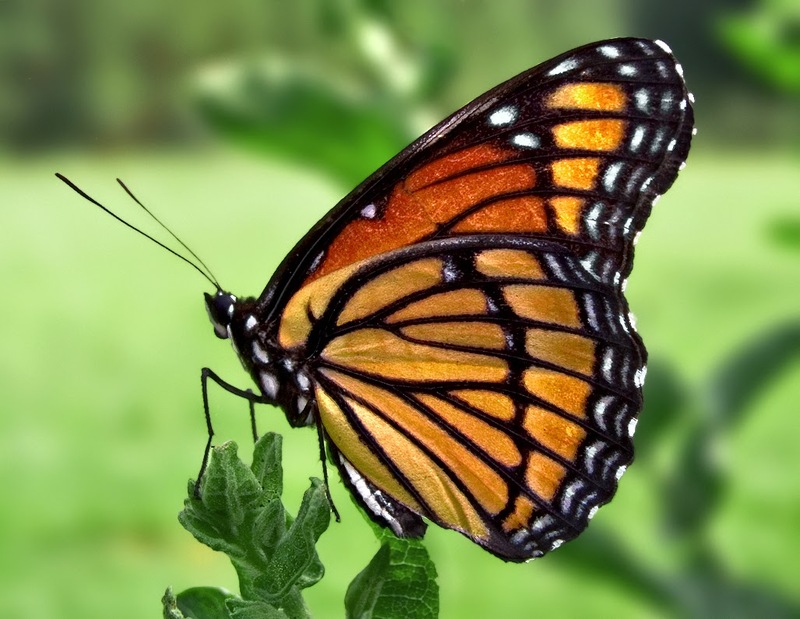 We know from such things as chaos theory among others, that even tiny measurement errors can lead predictions to be completely wrong in a way that's largely unpredictable and untestable (this is often referred to as the 'butterfly effect'). From A to Z we face measurement errors and make assumptions about phenomena that lead us to treat them as driven by chance even if they were entirely pre-determined. We thus seem to face an inevitable degree of unpredictability even if we're in a wholly deterministic cosmos. And many physicists argue that the cosmos in fact is at its most fundamental level irreducibly probabilistic (this, for example, in quantum mechanics). In turn, this means that things cannot be predicted more precisely than by probability--and the conditions under which we can actually know what that probability is, or how it limits the accuracy to which we can aspire, are very limited. And what if life and its working-out really do have a fundamentally probabilistic component--that is, selection, mutation, mate choice, and genetic interactions with environments? In that case, at present we generally have scant knowledge of what such probabilities actually are or even how to identify them. In other words, whether life is or is not wholly deterministic, it at least inescapably appears to be probabilistic. And that means that individuals' natures cannot just be read off a DNA sequencer. As we'll discuss in the next po, one can always see after-the-fact then-to-now evolutionary change and argue that it was somehow determined and inevitable, in a force-like way. Alternatively, one can argue that it's at least largely luck where things have got to where they are today. Or, one can say it was deterministic at any given time but that the driving context changed over time. The very same either-or-both-neither characteristics apply to the causal relationships between an organism's genotype and its traits. Not all bearers of a given genotype have the same trait value, and a given environment doesn't seem always to have the same effect. Most genetic variants empirically, at as current studies are designed, have small or unstable effects relative to each other; the exceptions are often lethal. That in turn means that natural selection cannot be a deterministic screen--it can't 'see' each individual's genotype. We as yet have nothing close to a precise general theory for how deterministic these factors could be, or if not deterministic what causes them to be probabilistic, or if probabilistic what the determines the probability values. Even in the latter case, we're usually stuck with very limited sampling and observation, not strong theory. One deep but simple truth might be that DNA is basically an inert molecule that has no function until it interacts with (a physicist might say is 'measured by') its environmental context, however that itself is determined. Genes and environment are not as simply separable as their separate names indicate. We should take what we know about what we don't know seriously and make more of an effort to understand it. Ignorance the the proper driver of science, but only if we acknowledge it. Dogma is not helpful here. Even to acknowledge that natural selection is a mix of determinism and probabilism is a rather empty tautology. What sort of 'mix'? Are there general laws that can tell us? Causation, determinism, probability, uncertainty: are in themselves elusive concepts. Most scientists acknowledge these facts when they’re pointed out, even if grudgingly when a vested point of view is threatened by that acknowledgment. While the facts we know may require that we gain a deeper insight into what determinism and probabilism actually may mean here, declarations of what is the primary mover are simply not very helpful. All of this should temper the fervor with which stances are taken on this subject. 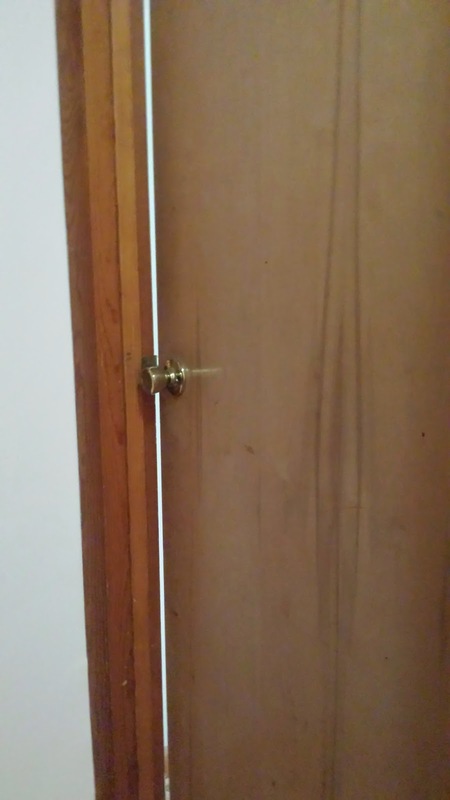 Opening the door of complexity threatens ideological stances, in science and more acutely when applied to human life and society, but it's the only way to try to gain a deeper understanding, even if once the door is open you can't control the uncertainties that come pouring in. The drug that reinforces staunch positions are those clear-cut conditions that we do know of, and this goes back to Mendel himself. But even strongly causal individual alleles, even purportedly lethal alleles, demonstrably vary in their effects and sometimes have essentially no effects. This is very clear from lots of data, including in humans where it is not just a politically-correct dream-world. Neither environmentalists nor genomic determinists should shut the door on the nature of biological and evolutionary causation, including the important role of unpredictable chance. On the mythology of natural selection. Part VIII: Complex evolution without selection? The default and sometimes only explanation for the origin of complex biological traits is an often barely-altered invocation of Darwin's notion of an all-seeing force-like natural selection. As we have said earlier in this series, when conditions are suitable, natural selection will follow essentially by definition of 'suitable'. Natural selection is about the proliferation of better traits at the expense of lesser traits in a given environment. But we have tried to suggest that there are many ways in which adaptive evolution can occur without that sort of selection. In the processes we've discussed so far, we have largely avoided the notion of chance as anything but a blurring factor of purely deterministic notions. Persistent genotype-based advantage will, depending on how strong the difference is, often proliferate even in the face of chance (genetic drift). Theoretically, the fate depends (statistically) on the relative strength of the selective advantage of one state over its competitors, and the size of the population (which affects the chance aspects of reproduction). In this situation, the success of the favored is to some extent, if not completely, largely like that of a steady force. In fact, the models that show this largely assume a steady state (e.g., similar selective advantage of the allele in question over long time periods). It is important in this theory, which is mathematical and not questioned, that selectively neutral or even somewhat harmful variants can also, if with less probability, proliferate at the expense of competing variants. Overall, however, one can fiddle with the details of such a model to make of drift a fly, but not a fatal flaw, in the classical selectionist ointment. But let us see how far we can go by considering that context changes all the time, sometimes more, sometimes less. And if context changes all the time, selective value will change. That makes things much less predictive over very long time periods, if these fitness differences are small. We have to note this because as entrenched as deterministic selection is in the theory of evolution, the idea that evolution creeps along at usually a literally imperceptibly slow pace is equally entrenched. A. Free-floating cells with environment-sensing surface proteins. B, C. These experience mutation that make them able to adhere to copies of the same receptor on other cells (mutation-bearing cells are differentially shaded). This leads to aggregations of cells. We can call it an ‘organism’ at some stage. D, E. Receptor-based aggregates sequester cells of specific mutational types or ‘species.’ The cells within a cluster can differentiate by gene expression, depending on whether they detect contact with the outer environment or not, forming specialized subsets (eventually leading to organs). 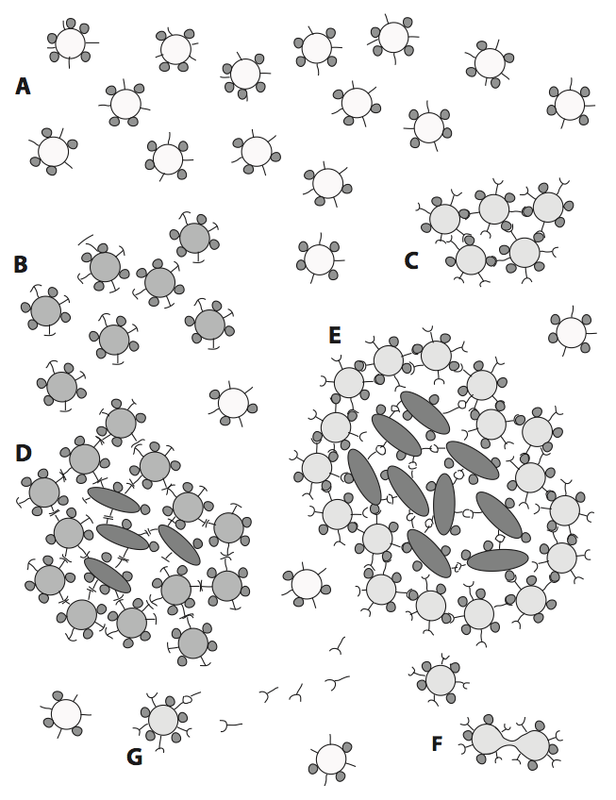 F. A cluster can shed individual cells that will then divide to form new clusters of the same kind as their parents. G. Mutations leading to the release of just the extracellular part of the receptor can bind to related cells elsewhere, triggering them to differentiate into new clusters—an early form of signaling. Starting small and in some local area, there need be no serious competition for resources and hence no natural selection against (or for) the modified receptors that evolve by mutation in this little story. Cells with like properties encounter each other randomly or locally because that's where they were formed. This is of course schematic and hypothetical. But it shows, we think, that complexity can in principle arise slowly, element by element, without the need for competition for resources or overpopulation and so on. What is required is that over time in some location, a variety of mutations arise among countless individuals (here, starting with cells). Unless or until they do arise, evolution doesn't of course occur! This doesn't preclude the new evolving forms experiencing selection in some way or at some time, but the point is that it need not be a necessary part of the dynamics. If chance combinations of non-harmful genotypes arise, and environments change, or a randomly arisen combination happens now to offer a viable function, can that continue to improve (very slowly) over time? When, whether, where, or how often this sort of phenomenon accounts for adaptive change, very slowly and locally, is a matter to think about and perhaps there would be ways to test its credibility. The slower evolution works, the greater is the plausibility that such phenomena can be a part of adaptive evolution--by drift and without the need for natural selection. Drift? Maybe--but is it, too, a mythological concept? We have argued that chance in the form of what is called genetic drift must play a role in evolution. The course of evolution involves elements of competition but inevitably also of chance. Chance has at least two relevant meanings here. First, we might say that two foxes have somewhat different bodies, but are the same when it comes to catching rabbits. The chance of a successful chase is the same. Second, genetic mutations in DNA sequence certainly happen sometimes by what is essentially chance: a cosmic ray from the sun zaps your DNA somewhere in a way totally unpredictable and, most important to evolution, that has no relationship to a trait that may affect the fitness of the victim. When it comes to reproductive success, there is no selective difference between the new and competing existing genotypes. For each genotype, the chance of reproducing is the same. Now, how can we tell if the two foxes, or the two genotypes, have the 'same chance' of success? What does 'same' mean here and how on earth could we possibly tell? In this sense, one can never prove, essentially not even in principle, that two functional states are identical--that the difference is exactly zero. By this criterion even drift becomes a mythological if not mystical notion. Or you can take the position of a physicist who believes in deterministic laws of nature, then certainly at some level, even if you can't see it, there is a fitness difference. But as we have seen repeatedly in this series, that then is an assumption and defines all evolutionary change as being due to natural selection: If it survived it was selected for, end of story. That is, as we have repeatedly said, a definition not a scientific statement. But there's more than that. Too small to detect, yet treated as if so important? Let us suppose for the sake of argument that selection of a purely deterministic sort (steady, fixed selective difference between alternatives, no chance element, etc.) is taking place. Let's say one state has a 1% advantage over its competitor. Does this sound small? Well, for evolutionarily relevant natural selection that would be considered quite unusually strong (remember, we're not here discussing artificial selection or selections such as antibiotic resistance which can be extremely strong). Most selection in real-live Nature is probably at least ten times weaker--differences on the order of one part in a thousand or less. But let's stick with the strong 1% advantage. That means that if you have 101 offspring to my mere 100. Here again we're letting it be deterministic not just a long-term average over a species' populations and countless generations. Such a difference would be exceedingly difficult, or sometimes statistically impossible, to document from actual samples of completed fitness in a natural population. Even if such a difference persisted for the thousands or more generations required for a major trait adaptation, it could not reliably be estimated at any given time, and that means for every given time (because even in generations when you did detect it, by some statistical criterion, you could not reliably know that this wasn't a fluke of sampling. This in no way implies that slow, even steady and deterministic selection, the usual image, does not occur. But it does mean that the image of great advantage in the raw competition of Nature is an exaggeration of large proportions. It essentially gives an image that equates the carnage in the backyard as mainly about adaptive selection, rather than mainly about just plain carnage of everyone seeking its dinner. Here the importance has serious implications for humans and those who seek Darwinian explanations for every little human trait, physical or especially behavioral. The fact is that adaptive differences are essentially so trivial that they have no real import at any given time. That is, they should not be used as tools to justify discrimination or inequality and so on. How and whether such policies based on different traits, talents, and the like should be implemented cannot usually be justified on evolutionary grounds. Evolutionary grounds are about net reproductive success, not human cultural values (in another post we noted that contrary scenarios from the usual are easy to construct!). Tempering excessive invocation about natural selection is an important reason that we decided to do this long series about the nature of evolutionary adaptations and change. That is because we see a sometimes rather fervent eagerness to revive evolutionary value judgments about people as individuals or as labeled groups. Of course, many genetic variants lead to serious disease and clearly may impair reproductive success in a huge way. But we treat disease for its own sake, not because of its evolutionary import. Mixing sociological judgments with evolutionary theory is to dabble in the Devil's game, as history has shown. If a trait is so adaptively important, why is so much variation still around? If selection were strong because a trait were being refined or fine-tuned by selection, and selective differences were strong enough to make a contemporary mountain rather than molehill of, why is there then still so much variation? Why hasn't selection made everyone almost alike? For example, if intelligence (as in IQ scores, say) were so vital to the human place in Nature, why is there such a range between the very smart and the very not-so? Here, we are not referring to pathological mental impairment. The answer is that either trait differences aren't actually that relevant to evolution--that is make little difference to net reproductive success, or there is a balance between lowered reproduction due to selection, the blurring effects of chance, and the input of new variation by mutation and recombination. This would probably be the preferred explanation for most theoretical population geneticists. But if true, it implies that selection really is not that strong after all, possibly because so many genes are contributing to the trait that individual differences simply cannot be tightly purged by selection. Maybe this is in part because the many genes each have other roles to play as well, and can't be purged too tightly without affecting those traits. Further, even if selection of a classical deterministic kind is at work, it could be that only the very fastest relative to the slowest fox has an advantage. That will move the average chasing speed of foxes towards being faster, but other than the rare outliers, there need be no fitness-related differences. This again is a very different idea from that of eagle-eyed, ever-vigilant, fine-tuned selection. One should also realize that it isn't that foxes today are somehow more 'fit' than their distant ancestors were--that they have been struggling for eons of doing poorly to evolve being OK today. At every age they were, as a population perfectly fit, for that particular time, as one would say if one were observing them at the time. There are many issues here, but the bottom line is that at the level of individual genes, and probably at the trait level itself, selection is just not very precise and/or that the species does perfectly well with its broad trait variation. Again, too big of a deal should not be made, on evolutionary grounds, for the range of differences we see. We risk reductio ad absurdum by taking too strong a stand in any direction when it comes to the evolution of complex traits. In any discussion of evolutionary factors, call them what you will, we face a major challenge in determining the reason for evolutionary success--or even, one might say, the meaning of 'reason' in this context. We are stuck in a profound way with statistical statements based on empirical, and inherently limited samples, imperfect measurements, unobservable past events, and essentially subjective testing and decision-making criterion (a subject we've discussed before). Tiny differences, be they 'due' to chance or some very weak force, can be imperceptible by such criteria but can accumulate. They can lead over eons to something useful, and even if now and then nudged by other forms of selection, differential proliferation can occur essentially by what is reasonable to call chance. Gene duplication is a form of drift that in principle can lead to redundancy that can buffer the organism against future mutations that generate function in one of the copies. Most of our genomes have arisen, from early days, via duplication and rearrangement of existing bits of DNA (exon shuffling, in exact recombination, translocations, transpositions and the like). Even standard genome evolutionary theory and explanations recognize this. Relative to future function, gene duplication is a form of random event, like point mutation. But duplication of existing functional elements provides a potential source of new function, usually related to current function--some of which can serve as fortunate 'pre-adaptations' for the organism's niche at that or later times. Even more than that, as I have recently discussed in one of my regular column installments in Evolutionary Anthropology*** (with references to others' work), a random DNA sequence long enough to code for a protein of a respectable 50 or more amino acids is not trivial, if mutation or translocation or duplication generated a promoter sequence. Since all nucleotide triplets can be used as codons, and only 3 of 64 possible codons are STOPs and there are 6 possible reading frames, etc. Other elements (polyA site, ATG, etc.) may also be needed, but genomes are big, organism numbers huge, and earth history very very long long. What is transcribed need not be translated to be functional, as in the plethora of noncoding RNAs. And the protein need not have a function right away so long as it doesn't get in the way of what a cell is doing. A function can arise later. Or not. In the long history of life and the diverse functions, choices, and opportunities of species, the various forms of adaptive response discussed in this series may apply even to essentially randomly arisen genes. When we dismiss anything but classical natural selection as our explanation, we close off other possible accounts for traits that we see here today. We hope, at least, to have provided some food for thought on this fundamental aspect of causation in life and its genomes. For discussions of ways chance and selection can mold what we see in genomes, work by Michael Lynch makes good reading (e.g., The frailty of adaptive hypotheses for the origins of organismal complexity, PNAS, 2007 and his book The Origin of Genome Architecture); of course, he may not agree with what we say here. Have we reached peak longevity?